Zea mays. Super Sweet. 80-90 days. One of the first open pollinated super sweet (Sh2) corns! 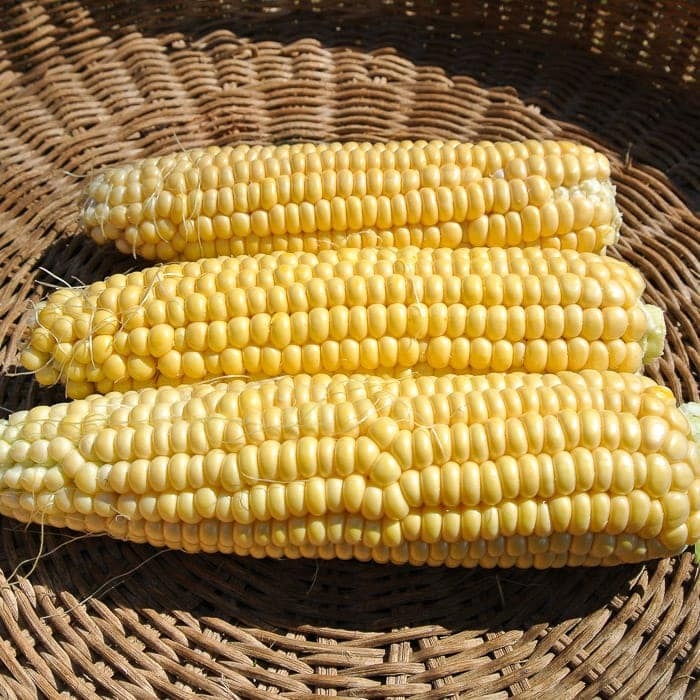 Medium-large ears have yellow, truly super sweet kernels, and hold their flavor once picked. Still a little variable in maturity and color with some pale yellow kernels, but we think this may be necessary to maintain vigor as corn does poorly with inbreeding. Selected from crosses made between a Tim Peters super sweet called White Sugar and an early release yellow super sweet from Friedemann Ebner of Sativa Rheinau in Switzerland. Because Andrew borrowed so much from Tim and Friedemann, who themselves borrowed so much from the corn breeders before them, he almost called this one “Borrowed Tune.” That name didn’t quite ring true, though. And then with so many of our friends becoming new mamas, we couldn’t resist – this “Sh2” is for the mamas! Corn does best when direct sown 1” deep, spaced at 18” centers. Plant when danger of frost has passed, after soaking seed overnight. For optimal pollination plant in blocks of 100. Super Sweet Corn can be slow growing at first due to the shrunken kernels having less energy to get started. 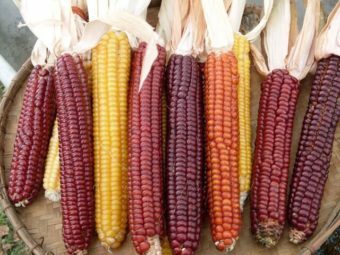 Cover with row cover in cool weather or plant later in the spring when soil temperature has reached 65° F.
Harvest for seed when stalks are brown. Pick cob, fold husk back, and leave inside to dry completely. 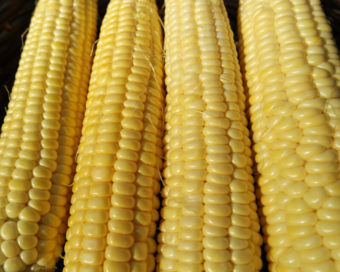 Remove kernels by rubbing two cobs together, or by hand. Test for dryness with a hammer; dry kernels shatter and moist ones squish. Isolate from other corn by 1/2 – 1 mile or two weeks for time isolation. How about changing the name to “Borrowed Time”, since it has gone from hands to hands! 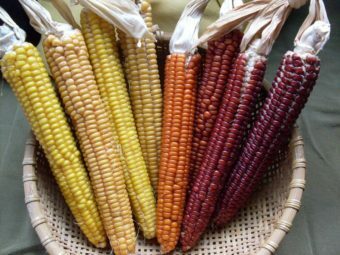 I have not tried the corn yet, in fact this is the first time I have come to your web site but my wife and I love corn so that is the first vegetable I looked at. I grew this in my organic garden in Santa Paula, Ca in 2016. It was grown in soil amended with compost , composted horse manure and some organic soybean meal. It grew very well and was sweet and lasted pretty long on the plants. It also came on over time so not all at once. It was sweet and pretty big. I recommend it and it was an OP which I like. Long time farmer, veggie grower, and band musician, I suggest, “Cover Tune,” as an appropriate varietal name. I raised this in my garden a couple of years ago in zone 6 in CT. The ears were somewhat smaller than I would have liked but it had a very good corn taste and it held very well. My family used to grow sweet corn for the local market so I’m somewhat particular as to what I eat. This one was very good and if I were going to raise corn for market again, I would definitely consider this variety. I wish the tips were a bit more tight to protect against ear worms but they are endemic here during the season regardless of the type of corn you grow (field, flint, or sweet). Instead of growing an F1 Hybrid Sh2 corn last year (2017), I decided to give New Mama a try. I was NOT sorry. 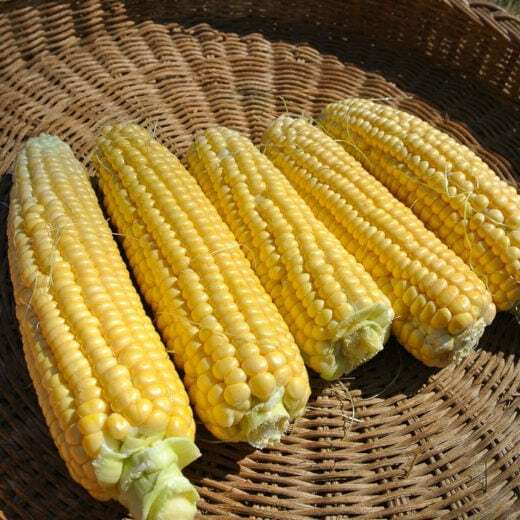 New Mama is a very sturdy corn that stands up well to the summer storms we have here in Central Pennsylvania (very few stalks were knocked over by the wind), and the flavor is nothing less than delicious. Good yielder too. I am ordering again for my 2018 garden. I especially love the fact that New Mama is open source and I am going to try and save some of the seeds this year.